Can I Get Cash Back on an FHA Jumbo Loan? For FHA 203(b) loans, the amount of money approved for the mortgage must pay for the home and include the add-ons, but no cash is allowed back to the borrower except in the form of a refund. 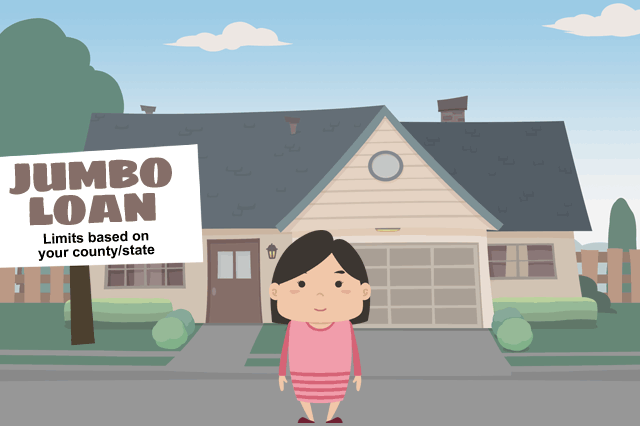 That is one reason why some borrowers ask about an FHA Jumbo Loan. September 27, 2018 - One common question asked about FHA home loans involves the loan amount. If you apply for a typical FHA new purchase home loan, the FHA 203(b) mortgage, your home loan amount is calculated on the adjusted value of the home plus any approved add-ons to the loan amount and items permitted to be financed such as the FHA Up-Front Mortgage Insurance Premium. For FHA 203(b) loans, the amount of money approved for the mortgage must pay for the home and include the add-ons, but no cash is allowed back to the borrower except in the form of a refund. That is one reason why some borrowers ask about an FHA Jumbo Loan, which is defined as any loan that exceeds the Fannie Mae or Freddie Mac conforming loan limit. In many areas, an FHA mortgage that exceeds $453,100 for typical housing markets, or a loan higher than $679,650 for high-cost areas. Is it possible to apply for an FHA Jumbo Loan for a home with a price lower than the conforming limit and get the unused cash in the loan amount at closing time? The short answer is no, because the home loan amount is determined on the actual price of the home or the adjusted value of the property, whichever is lowest. You cannot apply for more FHA loan than you need and take the remainder as a personal loan or get cash back in excess of $500 except as a refund. FHA loan rules have a built-in protection against this sort of borrowing; any amount of money back to the borrower that is not a refund and would exceed the FHA loan cash back restriction must be applied to the loan balance in many cases. Either that, or the lender must reduce the loan amount dollar-for-dollar reduction in the loan amount to comply with the $500 cash back rule (see above). There are several portions of the FHA loan rules that anticipate how a borrower might be tempted to handle a home loan transaction to get cash back; FHA loan rules simply do not permit money back to the borrower (except as defined in the FHA loan rules mentioned above) for forward mortgages. The way to get cash out from an FHA home loan transaction is either through FHA cash-out refinancing or via an FHA Reverse Mortgage where the home’s equity is used to determine an amount of cash back to the borrower. Reverse mortgages are for qualified homeowners aged 62 or older who own their property outright or are very close to doing so. Cash-out on FHA refinance transactions is restricted to cash-out refinancing which is possible for FHA and non-FHA mortgages alike. FHA Rehab Loans, FHA simple refinances, FHA rate-and-term refinancing, and FHA Interest Rate Reduction Refinancing Loans (FHA IRRRLs) are all subject to the $500 rule governing cash back.